Allah, the Almighty, said: (The parable of those who take protectors other than Allah is that of the spider, who builds (to itself) a house; but truly the flimsiest of houses is the spider’s house;- if they but knew) (Surat Al-Ankabot: 41). (1)Confirmation of the fact that the spider’s house is the flimsiest house, whether physically or spiritually. This has been proven by the late studies in zoology. * In Tafsir Al-Jalalain “Al-Jalalain Interpretation” (may Allah bless their souls), which was investigated and commented on by Sheikh Mohamed Kan’an (May Allah bestow good on him), the following was stated: (The parable of those who take protectors other than Allah): idols which they hope will benefit them (is that of the spider, who builds (to itself) a house) in order to lodge in it. (The flimsiest) the weakest (of houses is the spider’s house) that does not protect from heat nor cold. The same thing applies to idols which do no good to their worshippers. (If they but knew), they would not have worshipped those idols. The spider has simple eyes whose number might be eight or less. It is a predator of insects and has a thick skin covered with hair which is shed around 7 to 8 times until it reaches maturity. Zoologists today know more than thirty thousand types of spiders which vary in sizes (from less than a millimeter to ninety millimeters), shapes and colors. Most spiders live in the wild, mostly alone except at times of mating and egg hatching. The spiders’ environment extends from sea level to heights of five thousand meters. The spider has three pairs of prominent moving protrusions in the lower abdomen. These protrusions have tiny holes from which the fluid used to make the threads for its house comes out; therefore, they are known as the spinners. This fluid which comes out from a number of special glands to outside the spider’s body, through the rear spinners, dries as soon as it is subjected to air. When it dries, various threads are produced which differ in types, length, and strength according to the difference in the producing glands. The spider might stay in its house, where it practices all life’s activities, or it might have a nest or a hideout other than the house, which is connected to the house by a thread known as the trap thread. The spider escapes to this hideout at times of danger. In Lissan Al-Arab, under the subject (ankab), it was mentioned that the (ankaboot “spider”) is an animal which weaves in the air, and on the mouth of the well, a flimsy thin web. It is a feminine word, and may have been mentioned in poetry. The spider’s house is called (al-akdaba). Al-Feraa said: the spider is feminine, and some Arabs may mention it. The plural form is (al-ankabotat), (al-anakeb), and (al-anakeeb). In Yemen’s language, it is (aknabaah), as well as, (ankbaa) and (ankabowah). Sibawayh mentioned (ankabaa) while giving evidence on the addition of ta’a in (ankaboot), so he does not know if it is singular or plural. Ibn Al-A’rabey said” (al-ankab) is for the masculine, and (al-ankaba) is for the feminine. It was said that (al-ankab) is the spider’s classification. Al-Ankaboot maybe masculine or feminine. Al-Moubarid said: al-ankaboot is feminine and can be used for the masculine. Naming the noble surat with the singular form (Al-Ankaboot “The Spider”) indicates the solitary life of this animal, except at times of mating and egg hatching. This can be compared to the two surats Al-Nahel (The Bees) and Al-Namel (The Ants), where the names are plural since these insects live in groups. In this noble quranic verse, there is a clear indication that the female spider is the one mainly undertaking the building of the house. Consequently, building the spider’s house is a mission shouldered by the female spiders. It is the female which has in its body the glands for secretion of the silk material from which the spider’s house is woven. Sometimes, the male spider might take part in helping with the building, repairing or expanding. However, the process of building is mainly feminine. It is here where we find the scientific miracle in Allah’s (the Almighty) saying: builds to itself a house. (2) The weakness is in the spider’s house and not the threads;for the Almighty says (the flimsiest of houses). This is a clear indication that the weakness and frailty are within the spider’s house and not the spider’s threads. This is a very precise indication. The threads of the spider’s house are made of very delicate silk. The thickness of one thread is usually one million of the squared inch, or one part of four thousand parts of the thickness of the ordinary human hair. Despite its delicacy, it is the strongest biological substance known to mankind so far. 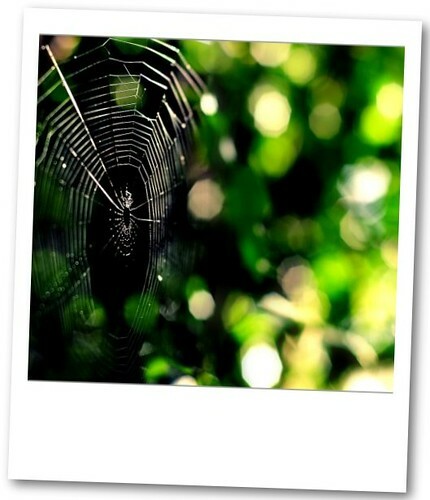 The silk threads which make up the spider’s web are considered stronger than steel, and their strength is surpassed only by the melted quartz. The thin thread stretches to five times its length before it is cut. Therefore, the scientists call it “biological steel”or “bio-steel”. It is twenty times stronger than the ordinary metal steel. Its tolerance measures 300,000 pound for the square inch. Hypothetically speaking, should there be a thick rope of the spider’s threads, in the size of the thumb, it can easily carry a “jumbo” jet. Dr. Taha Ibrahim Khalifa, former dean and Professor of medicinal plants and drugs at Al-Azhar University and tells the following article about a Quran miracle. Metallothionein (MT): material which is produced by humans and animals brains in small quantities. This material is a protein that contains Sulfur which can easily bind with zinc, iron and phosphorus. This substance is considered very vital to the human body in the sense of reducing cholesterol, performing metabolism, strengthening the heart, and controlling breath. MT production increases gradually between the ages of 15 to 35 years. Then, the production level decrease till it stops at the age of sixty. That is why it was not easy to obtain MT from humans. Also, small amount of MT was found in animals. Therefore, scientists kept searching for MT in plants. A team of Japanese scientists searched for this magical substance that works as a removal of the symptoms of aging. The team found subject substance only in two types of plants; fig and olive. Let’s just think for a moment in the oath of God Almighty in fig and olive. Then, let’s try to link it directly to the creation of human beings in the best manner and then abasing them to the lowest of the low. After MT was deduce from figs and olives, scientists found that the use of MT from fig or olive alone did not give the expected benefit for the human health. The benefits were only seen when MT that is extracted from fig was mixed with MT that is extracted from olive. After noticing that, the Japanese team tried to find the best mix ratio between fig and olive that provides the best influence. The best mix ratio was found to be 1 fig to 7 olives! Dr. Taha has sent all the information that he gathered from the Holy Quran to the Japanese research team. After verifying that the discovered information were mentioned in the Holy Quran 1427 years ago, the President of the Japanese research team declared his Islam and the research team surrendered the patent to Dr. Taha Ibrahim Khalifa. Posted by ayaat in Miscellaneous, sciences. The antenna signals created by touching in ants are used for various purposes like commencement of dinner, invitations and social meetings where nestmates get to know each other. For instance, in one type of worker ant species living in Africa, workers first touch by the antennae when they meet each other. Here, “antenna shaking” means just a salute and an invitation to the nest. This invitation behaviour is even more striking in certain ant species (Hypoponera) When a pair of workers meet face to face, the inviting ant tilts its head sideways 90 degrees and strikes the upper and lower surfaces of the nestmate’s head with its antennae. Often the solicited ant responds with similar antennation. The most striking example that may be set forth for tactile communication is the exchange of liquid food from the crop of one ant to the alimentary tract of another. In an interesting test made on this subject, various parts of the bodies of worker ants of the Myrmica and Formica species were stimulated by human hair and were thus successfully induced to regugitate. The most susceptible ant was the one that had just finished a meal and was looking for a nestmate with whom to share its crop content. Researchers noted that certain insects and parasites were aware of such tactics and they were having themselves fed by practising this method. What the insect had to do to attract the ant’s attention was just to touch the ant’s body slightly with its antenna and its front leg. Then the touched ant would share its meal, even if the creature in contact with it is of a different type. The sharing behaviour practised among ants is a specimen of self-sacrifice that cannot be explained by the theory of evolution. Some evolutionists who see the adage “Big fish swallow small fish” as the key to life on earth are forced to withdraw such words when confronted with such self-sacrifice as is displayed by ants. In an ant colony, instead of the “big ant” developing by eating the “small ant”, it rather attempts to feed the “small ant” and make it grow. All ants are ready to accept the food – that is, the “provision” – given to them and definitely make sure to share the excess with other members of the colony.